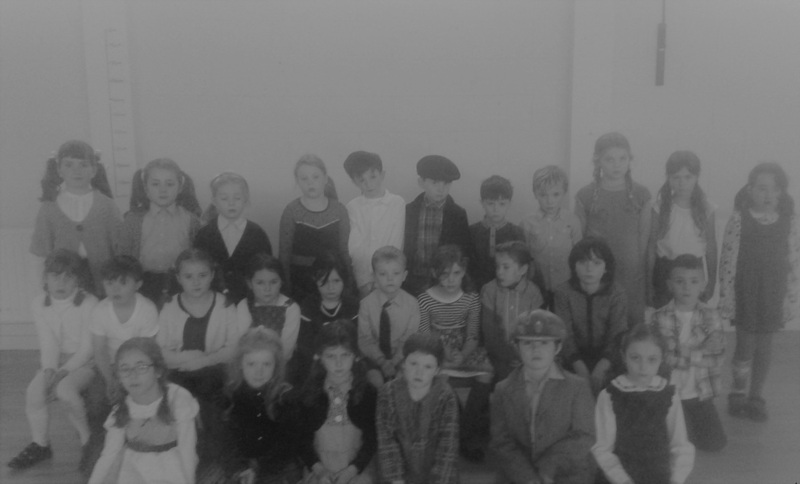 On Friday, December the 9th first and second class went back in time! Every year my school has two junior school plays. They are held in the school.. 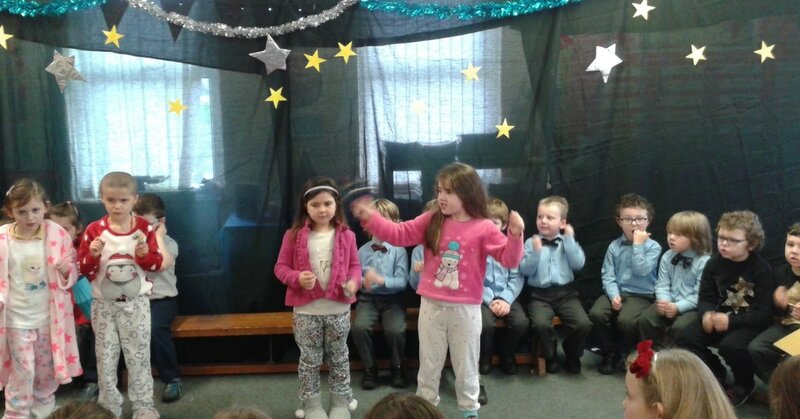 The classes that take part are junior infants up to 2nd class. The plays are organised by the teachers and Suzanne and they do a great job every year. All the mammies and daddies are invited to come and watch their children in the plays. This year there were two plays and they were called The Robin and The Elves and Shoemaker. The Robin was about a poor robin who just wanted to sing but there was always something stopping everybody hearing his lovely song but in the end, Mary called him to sing a lullaby to her baby called Jesus. Some of the characters in the The Robin were: Robin, Mary and there were narrators. The Elves and the Shoemaker was about a poor shoemaker who only had money to buy leather for his shoes and one night he leaves the leather out to finish in the morning because he was tired and during the night elves come in and sang a song while making a beautiful pair of shoes for the old shoemaker. The elves keep making shoes for him and in the end he makes beautiful outfits for the elves to say thank you. The main characters were: the shoemaker, the shoemaker's wife and the elves. I really liked the plays this year because the songs and stories were good. I can’t wait until Christmas 2017. I’LL BE THERE! WILL YOU? 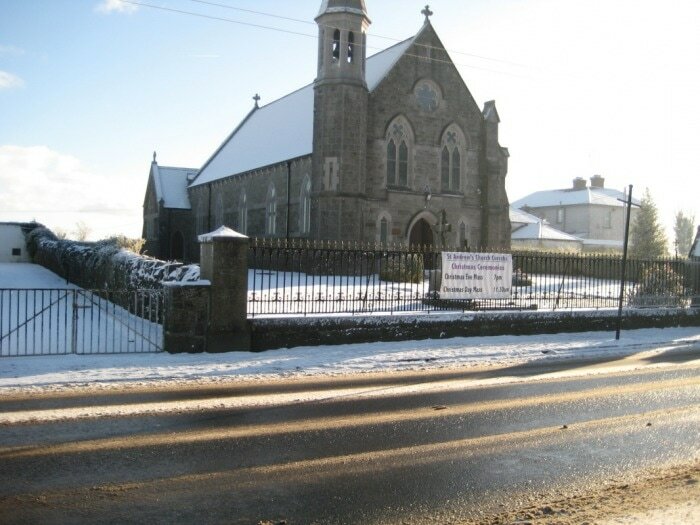 Every year the pupils of third to sixth class host a Christmas Liturgy in St. Andrew’s Church. This year, we told the story of The Nativity according to the Gospels of Matthew and Luke, through song, dance, music and acting. In the weeks prior to the performance, we all worked hard to learn our lines and perfect our parts. On the night of the liturgy, everyone was nervous but excited. A multitude gathered to watch us perform. We began the night with the instrumental “Walking in the Air”, played on recorders, flutes, clarinets, violins and the piano. Then, this year’s sixth class walked up the church aisle carrying candles while the choir sang “The Candle Song”. Throughout the performance, bodhrans were played, a myriad of solo songs were sung, an Irish dance was danced and a song was sung in French by Ms. Ronan’s French Class. The last song of the evening was “Silent Night”, which was sung in Irish, French and English. Everyone played his or her part impeccably and a great evening was enjoyed by all.